Posted on July 6, 2018 at 1:41 am. You don’t pay that much attention to your air filters until something goes wrong. Ignoring your home’s air filters can lead to major problems that you cannot even imagine. These filters can turn out disastrously dangerous once they get dirty and clogged over time. Discover these five (5) major issues caused by unmaintained and neglected air filters. Is it possible for evaporator coils to freeze even during summer? It’s 100% possible! When there is not enough air that passes through the coil, condensation may build up and freeze while your A/C unit is running. Stagnant air due to lack of airflow causes this phenomenon to happen. With messy and clogged air filters, what else can you use to block or filter contaminants in the air? You can become vulnerable to airborne-illnesses if you do not make an immediate effort in cleaning or replacing the filters. With dirt, dust, and debris circulating in your home, you become susceptible to respiratory health issues. Take note that when air filters are clogged, your indoor air quality and health are not the only things that are compromised. Your bank can also suffer because of high energy bills. If the air can’t flow properly through different parts of your HVAC system because of the clogged filters, your system will have to work longer and harder than normal. It will consume more energy to meet your ideal room temperature. Get greater savings on your monthly bills by changing your filters as necessary. With clogged filters, your home is at risk of hot or cold spots. 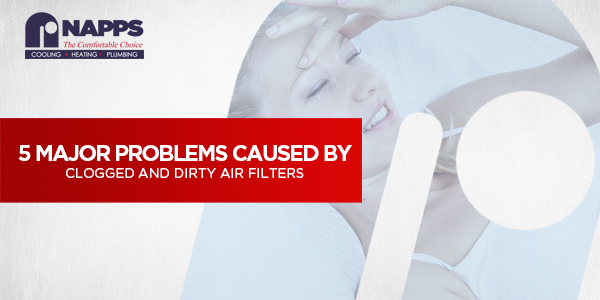 When there is too much dirt that messes with your air filters, the air won’t pass easily. It will take longer for your HVAC system to reach the temperature it is set at. The lesser the air flowing into the system, your home can be hotter or colder as it should be. The worst thing that can happen due to clogged air filters is a system failure. Nothing is worse than knowing that there is nothing to keep you comfortable when the weather is at its peak. To prevent your HVAC system from shutting down, you should keep a clean and maintained air filters. Do not wait for the worst to happen before you take care of your air filters. 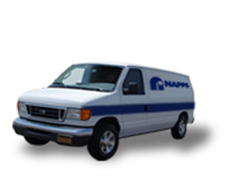 Call NAPPS Heating and Air Conditioning for air filter cleaning, replacement, and maintenance today! We are happy to serve you.